Today I was once again reminded of how fast time flies when you’re having fun. 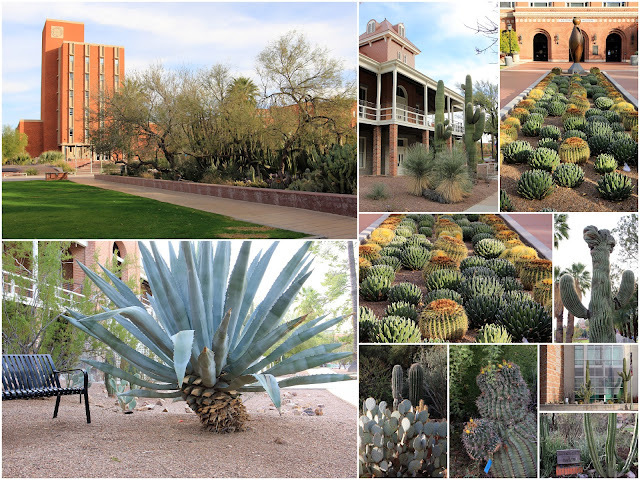 It seemed like I just got to Tucson, and yet it was already time to head back to Phoenix. 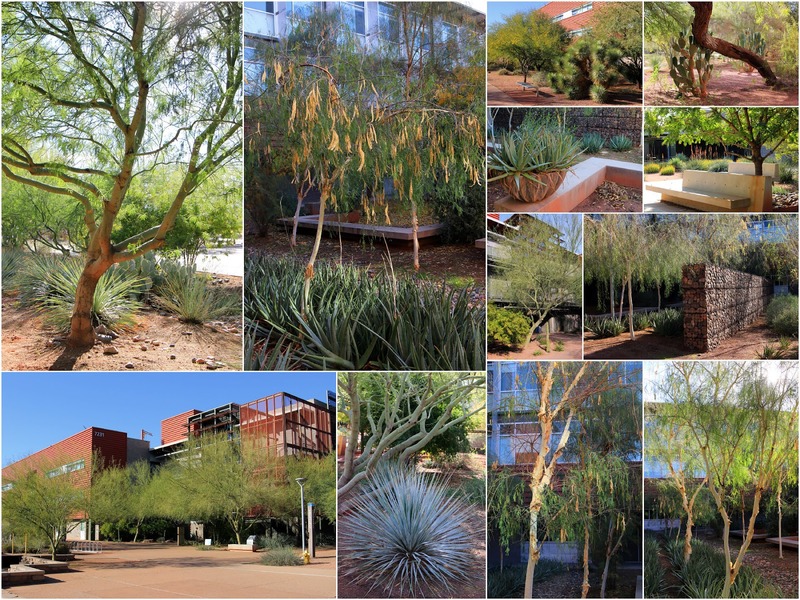 But before I left town, I checked out the Krutch Cactus Garden on the campus of the University of Arizona. It was originally started in 1891 and moved and expanded in 1929. Based on this description, it must have been a lovely spot. Between the 1950s and 1970s much of the original garden was removed and/or replaced with turf (the horror), and the small patch left today is but a shade of the garden’s former glory. I’m glad I finally took the time to check it out, but it’s not a must-see. My final stop in Tucson was the master-planned community of Civano on the southeast side. 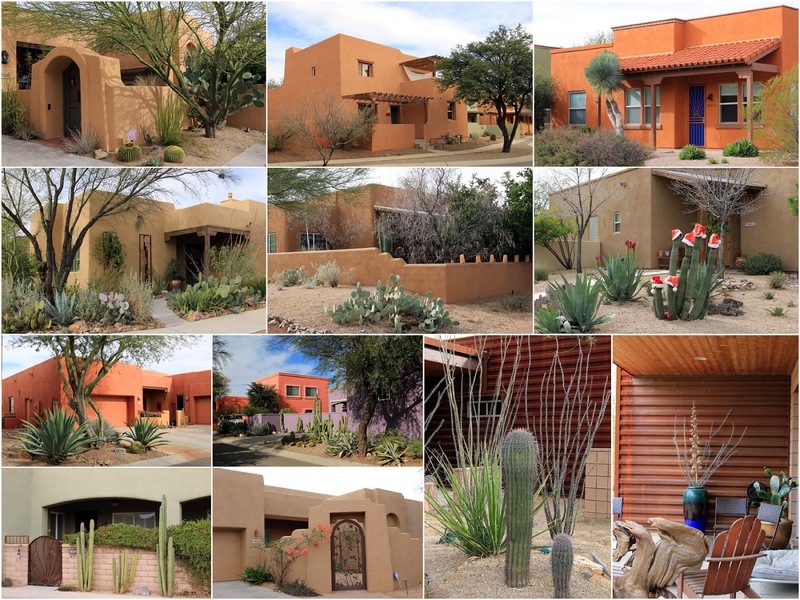 I’d been there twice before (January 2015 and December 2015) and fell in love with the colorful houses, the desert-appropriate landscaping and the general vibe of the place: friendly, neighborly, community-focused. I could easily see myself living there if it weren’t for one thing: the lots are really (REALLY!) small. Right now, I’m still in a stage where I want to garden on a larger scale. 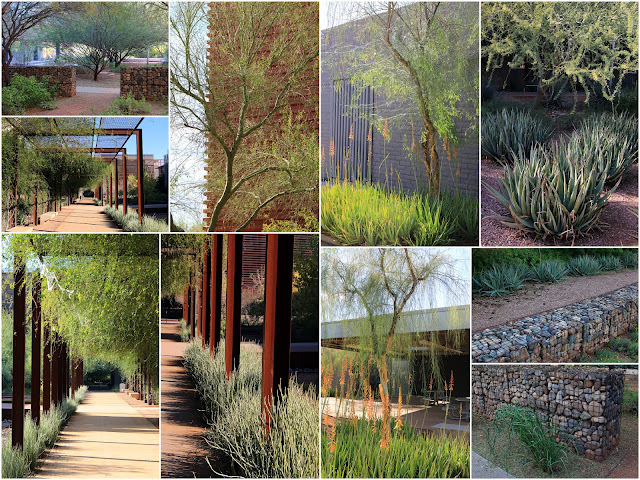 Speaking of Pam Penick, tomorrow before I fly out I will visit a couple of other public spaces in Scottsdale that Pam blogged about earlier: Cavalliere Park and Scottsdale Xeriscape Garden. 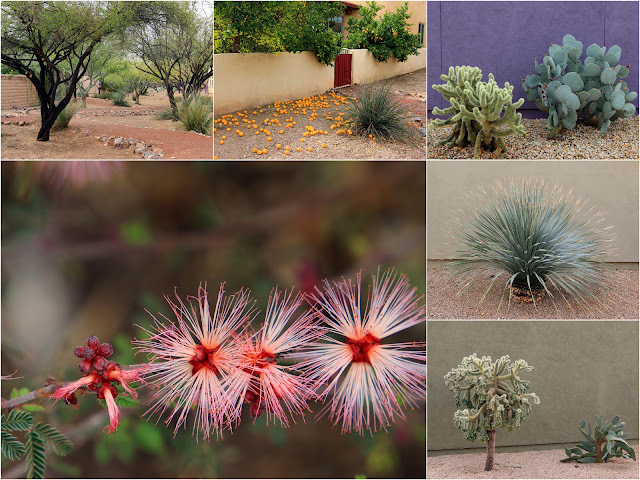 A big thanks to Pam for raising awareness of these projects outside of the Phoenix area. You're to be commended on doing your homework in preparation for this trip, Gerhard. I can't believe all you've managed to cover in a few short days. This year I didn't feel as prepared as in previous years. Plus, it's getting harder to find new places to visit. Not that I'm bored re-visiting favorites! We've some steel left over from our house project. I'm thinking of ways to use it in the garden, having seen the way it's used over there in the States, and never having seen it used over here in the UK, where rusty metal is seen as kind of the opposite of what gardening is about. You know how to vacation! What I love about these solo trips is that I can do what I want without having to take anybody else's preferences into account.